Over 100 years of combined investigative experience. Your matters will be kept completely confidential. Toronto PI is operated by retired Police Detectives Brian Dakin, and Mark Walsh, who were both long-serving members of the Toronto Police Service Intelligence Division. Toronto PI offers a wide range of investigative services to both the public and corporate sector throughout the Province of Ontario. Both retired Detective Dakin, and retired Detective Walsh bring to Toronto PI an investigative expertise based on numerous years conducting surveillance, undercover operations, and covert operations while working in specialized elite units of the Toronto Police Service. They are known to be dedicated professionals, and are recognized experts in their fields. They have been involved in complex investigations pertaining to both criminal and civil matters while they were serving members of the Toronto Police service, and they continued to exude those same qualities with Toronto PI. Alongside with Brian and Mark, all of the investigators working for Toronto PI are all former Police Officers who provide knowledge, experience, dedication and professionalism which is paramount when selecting an investigation company to assist you, and your needs. 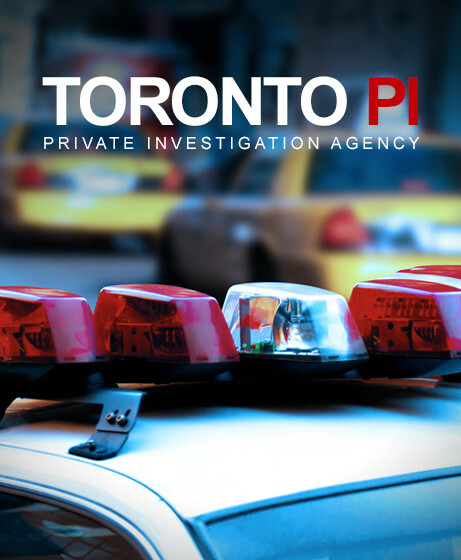 Operated as a General Investigation Agency, TORONTO PI is one of Ontario’s leading resources for professional, completely confidential private investigations. Staffed solely by former Police Officers, TORONTO PI offers each client the benefit of over 100 years of combined investigative experience by hand-picked former police officers who enjoy a challenge and excel at what they do. In a field where experience counts for everything, our investigators know how to get results and firmly believe in every clients “RIGHT TO KNOW THE TRUTH”.